President John F. Kennedy has lived through the ambush in Dealey Plaza. America holds its collective breath, seeing its president nearly executed in broad daylight. But as the country marches on, the office of the President finds itself under a much more insidious type of fire. 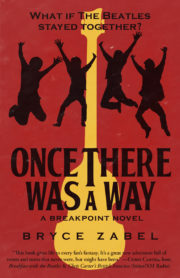 Political scandal, an endless war, and a country coming apart at the seams take the 1960’s in a terrifying new direction, and both John and his attorney-general brother, Bobby, struggle to stay ahead of their enemies, political and otherwise, and steer America toward a greater future. Bryce Zabel is a master of the cover-up and the conspiracy, creating the Emmy-award winning series DARK SKIES. 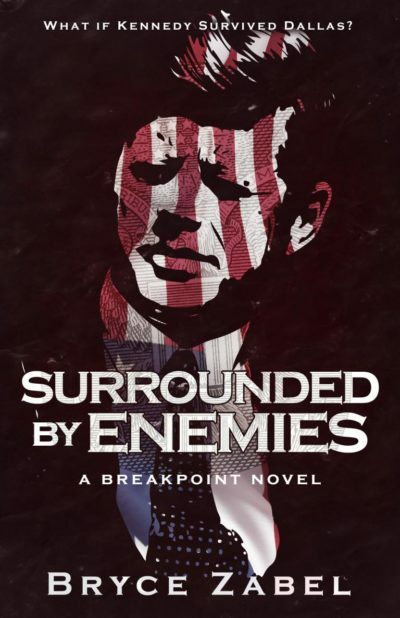 SURROUNDED BY ENEMIES is the first novel in the new Breakpoint series—each book exploring seminal moments in popular history and taking readers on a journey into a mirror world where events are both unexpected yet startlingly believable. This savvy, fiercely intelligent novel, perfect for readers of Harry Turtledove, brings together elements of political thriller and page-turning history, enthralling readers with a sharply written take on the America that was, and the America that could have been.